Earlier this year, one of the most successful animated franchises in the world returned to the big screen with its biggest comedy adventure yet. 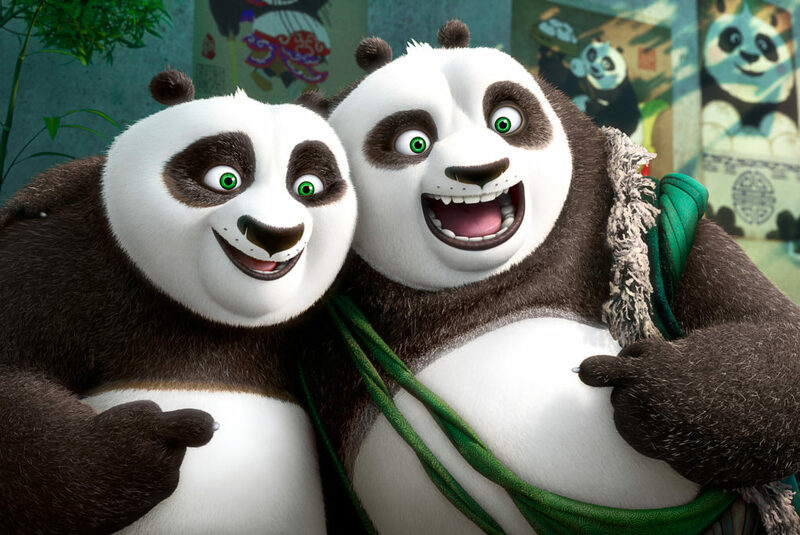 In Kung Fu Panda 3 Po’s long-lost panda father suddenly reappears and the reunited duo travels to a secret panda paradise to meet many hilarious new panda characters. 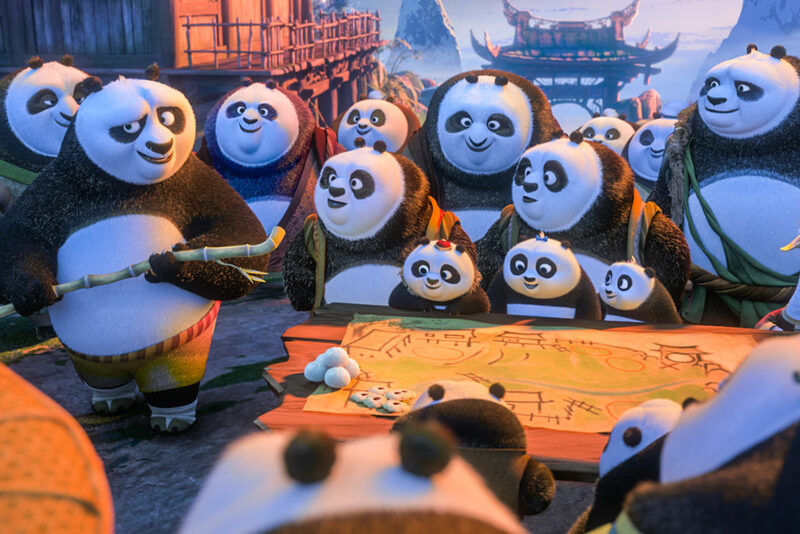 But when the supernatural villain Kai begins to sweep across China defeating all the kung fu masters, Po must do the impossible – learn to train a village full of his fun-loving, clumsy brethren to become the ultimate band of Kung Fu Pandas! Kick off your summer vacation with the Kung Fu Panda 3 Awesome Edition on Blu-ray™, DVD and Digital HD. Featuring more fun, funny and action packed bonus features which includ 2 all-new Kung Fu Panda animated shorts, Everybody Loves A Panda Party Karaoke with Po, Make a Panda Party Paper Pal and much more! Everybody Loves a Panda Party – Join Po and the entire cast of lovable pandas to sing-along and learn why everybody loves a panda party in this all-new presentation. Po’s Posters of Awesomeness – Po leads a deeper exploration of the awesome art in Mr. Ping’s hut as the posters come to life and illustrate his hilarious stories. Panda Paws – Watch the enormously talented panda ribbon dancer Mei Mei starring with Bao in an exclusive animated tale. Make a Panda Party Paper Pal – Learn the mystic art of paper folding and create a village of panda pals as Po hosts this fun and entertaining tutorial. Ready to be a part of the panda party yourself? 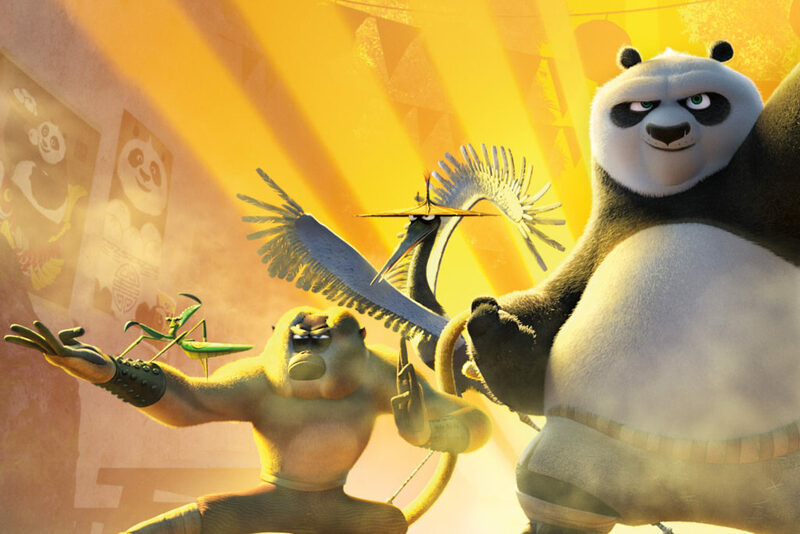 Enter to win the Kung Fu Panda 3 Awesome Edition Blu-ray through the rafflecopter form below! I would love to watch Kung Fu Panda with my niece and nephew. They enjoyed the first two movies. Thanks for the giveaway. This movie looks entertaining. I will be watching with my two sons. I will be watching it with my husband and kids. I would love to watch with my 5 kids! I would love to say I would watch this with my granddaughter but since I live in Delaware and she lives in Arizona, if I were to win I would send it to her for her mommy and daddy to watch with her. I will be watching it with my daughter. I will be watching with my husband and girls! My son who loves pandas! I will be watching with my son and husband! I would be watching this movie with my kids. I'll be watching with my tribe of children (4 of them) spilling off of my queen size bed, all attempting to sit on me. My daughter loves Jack Black! I would be watching this with my two boys! I will be v watching it with my husband and 2 daughters. I will watch this with my grandson. I would watch this with my 4 year old daughter. My fiance and his niece and nephew! Oh we would be watching with the whole family! Would be a great family night movie! I will be watching Kung Fu Panda 3 with my nieces. It would be with my kids. I will be watching it with my niece. my family and i will watch this. Will watch it with the whole family. I would watch with my 5 year old. I don't know who loves kung fu more, my five year old or Po! Of course I would watch it with my five year old. She's anxious to own her own ( we saw it in the theater). I will be watching this movie with my Granddaughter. family night if i win,my grandkids would enjoy this as well as my biggest kid, my hubby. My daughter and twin boys will love this! I would watch this one with the kids in the family. My kids are going to watch this with me. I would be watching with my whole family- three kids, hubby, and pets. Would make a great movie night! I would watch this with my two little ones!